Happy Mother’s Day to all mothers! This mother is indulging her interest in photography today (the simple kind: pointing and shooting with a phone). So here are a few recent pictures and explanations for the less obvious. I include shots of a clay bird’s shadow on my wall and hedge shadows on a sidewalk. The fence with the stage coach and other old timey images painted along the railings is in Providence — easy to overlook when walking past. Providence plaques and memorials. The one of Martin Luther King Jr. is on a bridge with a view of Water Place. The monument to an event Rhode Island celebrates as the real first engagement of the American Revolution — the colonists’ clash with Brits on the HMS Gaspee — is partly obscured by bushes. Little old Rhode Island gets no respect. It was also the first colony to sign on for independence, May 4, 1776. Who knew? I think it’s safe to say that most adults would rather take care of themselves than rely on charity, but sometimes it’s hard for people living in extreme poverty to figure out how to cut the cord. Beth Alaimo at the Christian Science Monitor‘s People Making a Difference has a story about some Ugandans who are finding a way. “With 67 percent of the population living in poverty, Uganda is no stranger to dependency. Despite being a popular region for development ventures, organizations often lack an approach that prioritizes what locals want and need while leaving the savior mentality behind. “Its first and largest project, the nursery and primary boarding school, is the closest to being self-sustainable. Roughly 600 students are attending this upcoming semester, an estimated 500 of whom are paying fees, with the rest receiving scholarships. “Businesses created and run by locals are also moving the Musana community closer to achieving sustainability. A trendy restaurant (the ‘only place in Iganga you can find a burger’ says Pauline), a dairy farm, and handmade women’s crafts are all businesses funding community outreach. 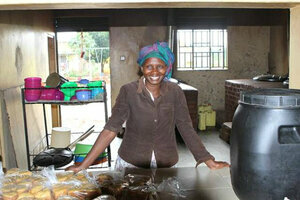 “A bakery is the newest sustainability project at Musana and has quickly become profitable. Proposed and started by the head of child care, the kids often come in and help bake.” More here. A famed Wharton School professor from South Africa, Ian C. MacMillan, has been known to complain about the dependency cycle he sees in Africa, and has taken steps on his own to boost independent small businesses there. An article here is partly about that work. The Musana Community Development Organization runs several enterprises, including a nursery and primary boarding school. A bakery, proposed and started by the head of child care, is the newest project and has quickly become profitable. The children often come in and help bake. The uncle of my co-worker from Ghana is a very fine photographer who chronicled much of the last days of colonialism and the beginning of independence in his native land. Another colleague was reading an article about the uncle’s new book in the Washington Post and thought, “Could they be related?” They are. Nicole Crowder wrote at the Post, “In 1957, after over a century of colonization, Ghana gained independence from Britain. Just 30 years prior, in 1929, photographer James Barnor was born in the country’s capital Accra — then the Gold Coast colony — and over the course of a career that spanned more than six decades would become one of Ghana’s leading and most well-known photographers. “Throughout the 1950s and 1960s, Barnor created a definitive portfolio of street and studio portraiture depicting societies in transition: images of a burgeoning sub-Saharan African nation moving toward independence, and a European capital city becoming a multicultural metropolis. “Ghana in the 1950s was experiencing a radiance of post-colonization as well as its ‘heyday of Highlife,’ a fusion of traditional African rhythms, Latin calypso and jazz influences that would soon spread across Ghana’s borders to West Africa and beyond. … Barnor captured all of this energy, playing at once artist, director, photographer and technician, by offering a well-rounded portrait of Ghanian life from many walks of life. Nigerian Superman, Old Polo Ground, Accra, 1957–58. 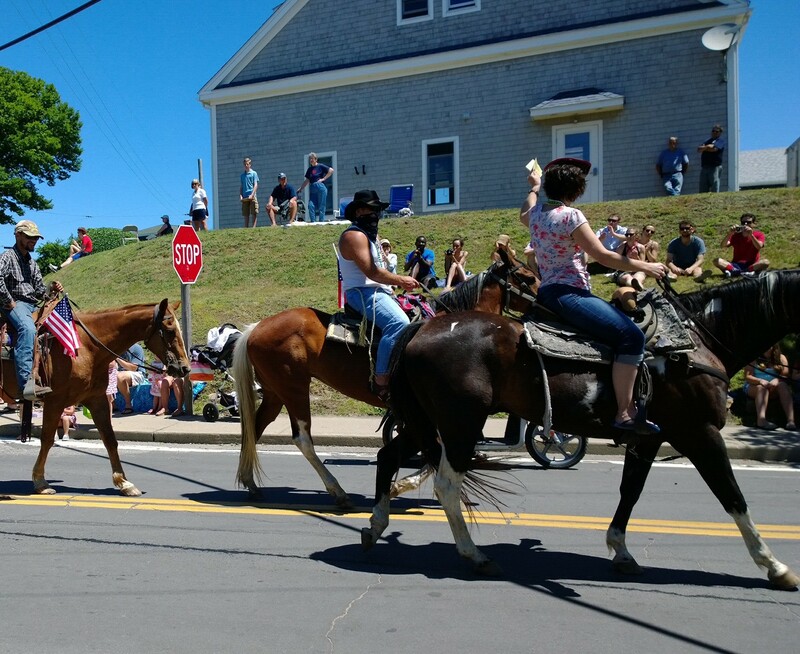 The tail of the hurricane socked us pretty hard on the Glorious Fourth, so the parade, the fire-police-and-rescue steak fry, and the fireworks were put off until the 5th. Makes me wonder about how people felt on the 5th in 1776, realizing that they were in for it now. That it might not work. 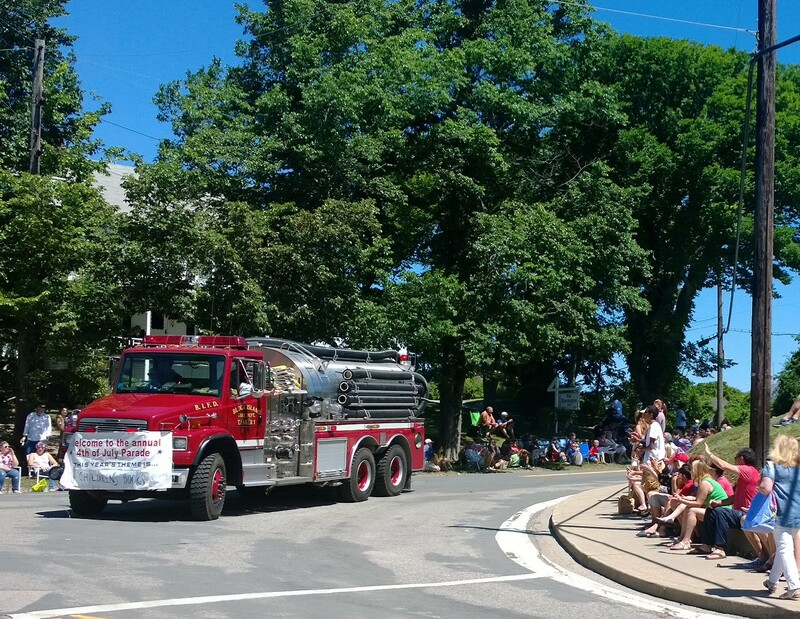 The theme of this year’s parade was children’s books. There were at least two Cat In the Hat floats and two very differently conceived Hungry Caterpillar entries. 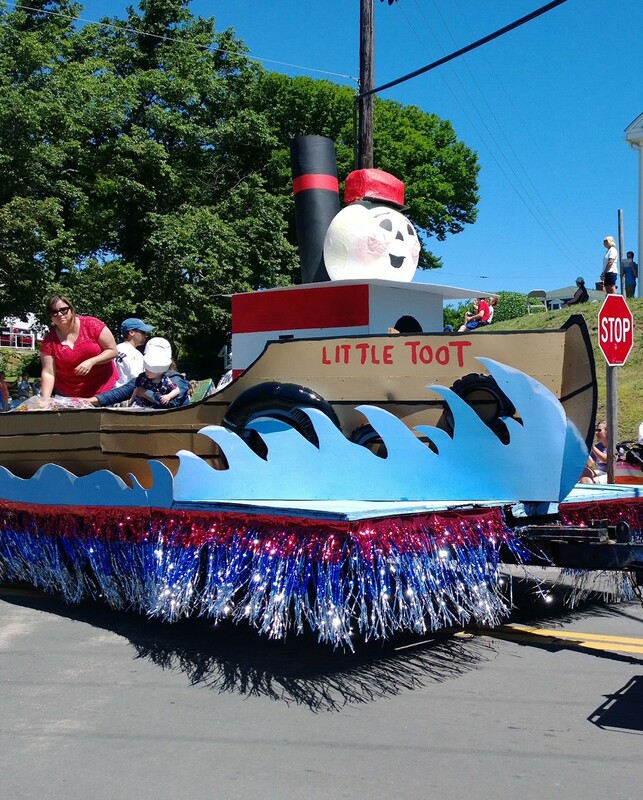 I managed to to snap the Little Toot float — it’s always good to have a boat in an island parade. 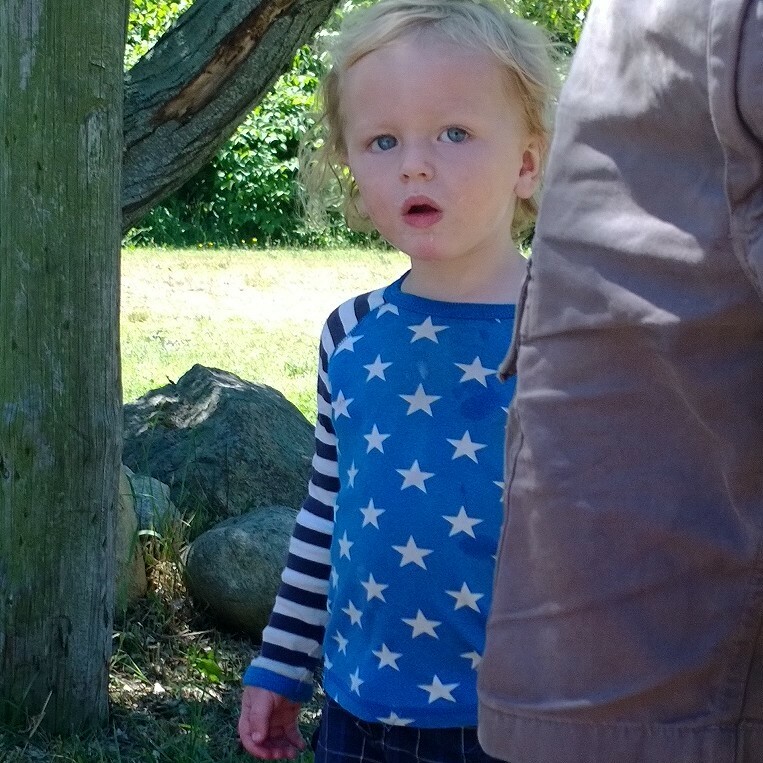 This was Erik’s first Independence Day parade since he became a citizen, and the first that our two-year-old grandson really got into. He will need to brush his teeth especially well tonight. Only very sticky candy like Tootsie Rolls seemed to be tossed to the crowd. I was reading about the latest enthusiastic group of LEAF interns in the Block Island Times tonight and decided to look up more information on the program. 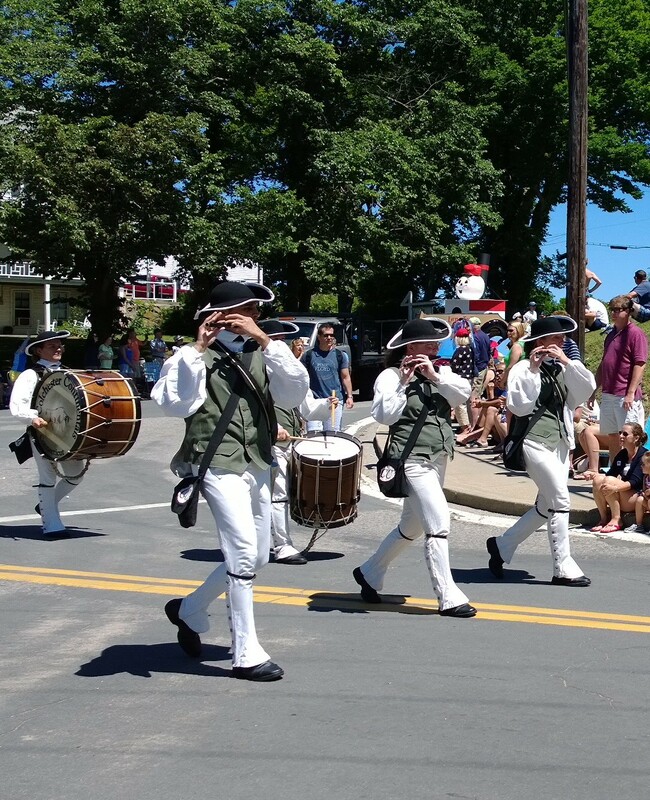 The Block Island Times notes that this is the third year of the island’s participation. The three girls who are currently interning have come with their mentor come from Atlanta. Intern Niniola Mark tells the newspaper, “This is my first time in New England, and I also saw the ocean for the very first time.” The article doesn’t say what high school the girls attend, but the only one in Georgia that I see on the TNC site is the Arabia Mountain High School. What fun to go to an environmental high school!